The squat, when correctly performed, is one of the best general weightlifting exercises. The squat is most frequently performed by powerlifters, but is also popular with bodybuilders and athletes training for sports where core strength is important. A squat performed with poor form can be damaging to the athlete's back and knees. For this reason, it is advisable to practice squatting with low weight to begin with, and gradually increase the weight as the movement becomes more familiar. The two most common errors when performing the squat are leaning forward instead of remaining upright, and squatting to an incorrect depth. Most athletes use a small range of motion on their squats, but some do squat too deep. Leaning forward on a squat can cause the athlete’s lower back to become rounded. It places a lot of stress on the lower back, and removes the emphasis on the hip muscles and glutes. Squatting to an incorrect depth can increase the stress that the movement puts on the knees. To reduce the tendency to lean forward on a squat, the athlete should make a conscious effort to look forward (not up or down) while squatting. This encourages the body to come up at the same rate as the legs. The drive upwards should come from the heels, and push up – not forwards. Some athletes find that pointing their toes upwards can help to emphasise the upwards heel pushing part of the motion. The correct depth for a powerlifting squat is just slightly below parallel. The squat is considered to be parallel when the crease of the hip is in line with the knee. For a squat to be considered legal in powerlifting, the crease of the hip should be at a point slightly lower than the top of the knee. 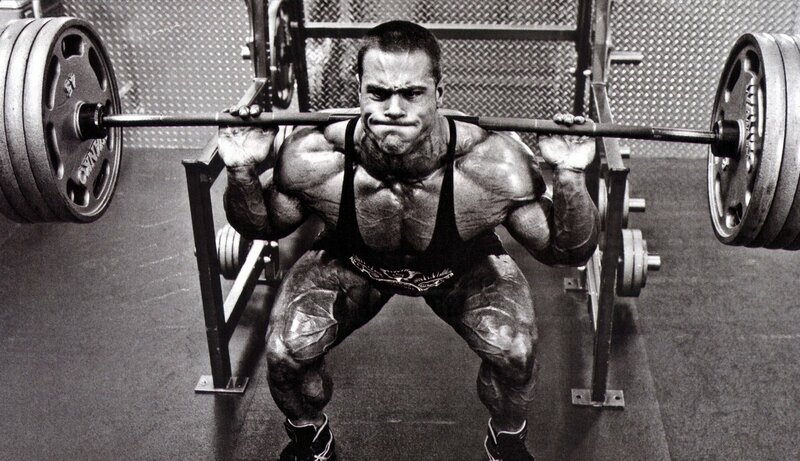 A lot of people fail to achieve this depth when squatting. In many cases, this is because of balance issues, or a lack of flexibility. To make it easier to squat to the correct depth, the athlete should ensure that they are starting the squat with their legs at a suitable distance apart. For most people, the correct distance is slightly wider than shoulder width apart. The athlete’s feet can be pointed slightly outwards. The athlete should descend to the correct depth, but avoid going too deep. The correct depth can be hard to judge without a spotter or a coach offering guidance for the first few attempts; however, the athlete should be able to tell when the movement reaches a point where any further attempt to descend causes the torso to move forward, instead of the legs moving down. At that point, the squat is too deep. Regular practice should make it possible for the athlete to judge their own squat depth.